One of the signature experiences in Japan is the onsen, typically a natural thermal spring bath with reputed health benefits and relaxation. But like so many things in Japan, it comes with its own set of protocols and etiquette and it pays to understand them before you get wet. The traditional Japanese bath house inn, or ryokan, is the popular choice for travellers wanting to experience the soothing qualities of the ancient hot springs. 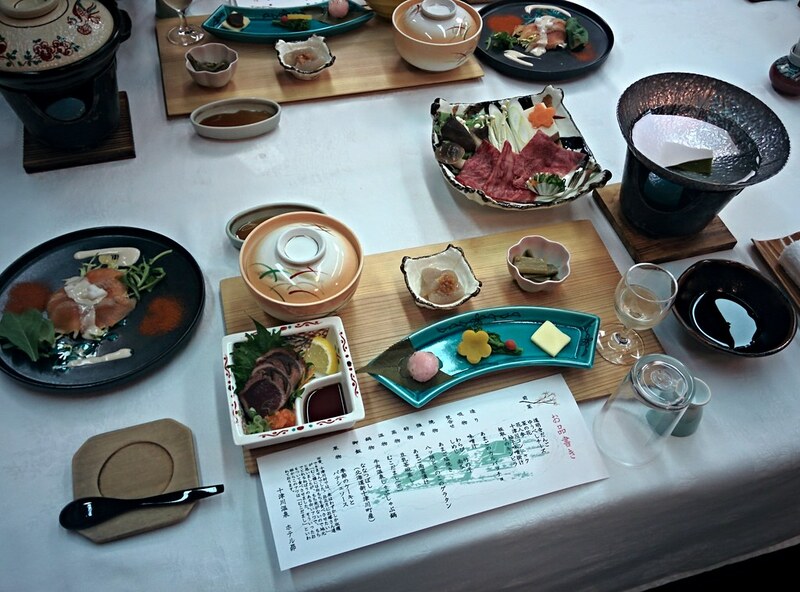 These ryokan offer genuine accommodations which western visitors would describe as ‘minimalist’. There is a table and a couple of low chairs which can be moved to make room for the futon (flat mattress) which rolls out on the floor with a quilt. European guests may find it necessary to add an extra mattress (or two ) for comfort. Apart from the traditional meals served in the restaurant, the key attraction is the bath house which utilises the geothermal properties of the Earth in warming waters underground. Sometimes these waters find their way to the surface naturally, while at other times, they must be drilled and pumped. In any case the result is a shallow pool or bath filled with steaming 45 degree C mineral waters and a faint hint of sulphur as well as iron and metabolic acid. In the ryokan, these segregated baths can be indoor, outdoor or both and are part of a spa-like section with individual wash stations and a separate vanity area for final ‘beauty’ preparation, shaving for men and hair styling. Amenities like shampoo, dryers, tonics, combs and razors are often supplied. Note: if you have visible tattoos, you should not use an onsen. This is a pretty strict etiquette, so don’t try it on or you are likely to create offence. 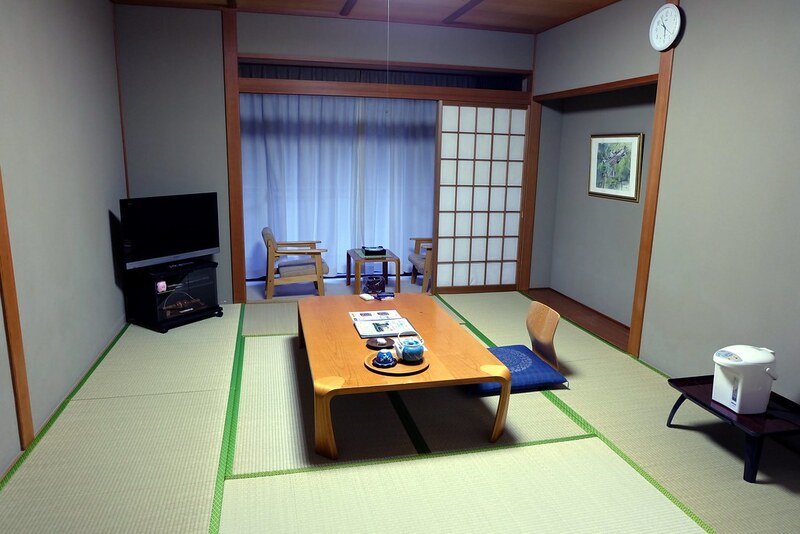 In your room, leave your heavy clothes and shoes behind and slip into a light kimono or yukata. Wear the slippers provided. Make sure you enter the correct section. Blue curtains for men and red curtains for women. These are often swapped over on a daily basis. Pay attention. Remove your sandals and place them with all the others. Find an empty locker or basket and remove all your clothes and jewelry, placing your items inside. Yes, strip naked. Unless you are using an outdoor public and mixed bath, you must not wear underwear or a swimming costume. Proceed to a wash station, take a seat on the low stool and give yourself a good rinse. Use the hand shower, the little bucket or both. You can also perform a rudimentary wash using the cloth provided if you think it’s necessary. Either way, it’s good to be clean before you enter the onsen. Making sure you are soap-free, go sit in the main bath and relax for a few minutes. It’s good manners to use the washcloth for modesty as you walk about. Don’t take your washcloth into the bath with you. Pop it on your head or place it next to you on the rocks. Don’t splash, swim, eat, drink, talk loudly or fool around in the onsen. It’s for relaxing. Go back to your wash station and give yourself a proper soaping. Scrub yourself vigorously all over with the soapy washcloth and shampoo. Rinse thoroughly. Rinse yourself again at the wash station to remove any onsen water that may have some sulphur odours. Tidy your wash station for the next person. Dry off with a bath towel and wrap the towel around your waist and go take a seat at the vanity. Blow dry your hair and do your normal post-bath routine as you would at home. Get dressed and return to your room. Many Japanese enjoy taking an onsen three times when they stay at an onsen ryokan; before dinner, after dinner, and before breakfast. A lot of onsen users just throw a small amount of water over themselves before getting in the bath. Although there are 'rules', most rural onsen are pretty relaxed. Some Japanese people like talking with foreign travellers in the bath, which is a really nice way to learn about each other. People with small tattoos can cover them with a small towel pretty easily, and in most rural onsens, no-one really minds. It's the big full-body ones that attract the wrong attention. Don’t put your washcloth in the main onsen or wring it out in the onsen water. Keep talk to low volumes. This is not a party room. In some more remote areas, you may encounter the ‘konyoku’ bath where mixed bathing takes place. You are unlikely to find this at your ryokan, so assume all onsen are segregated. Mind your shoes. Make sure you take them off where everyone else does. Wearing shoes or slippers on the mat (tatami) is a big no-no. Drink plenty of water. 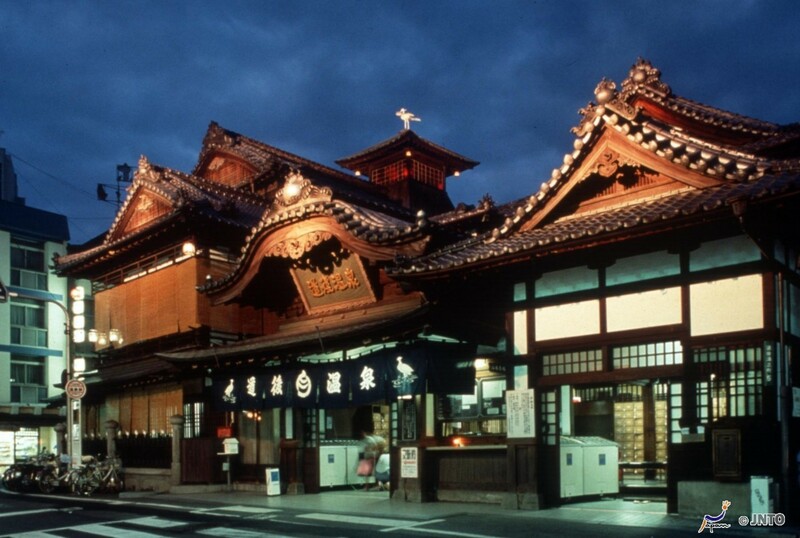 Onsen baths can be dehydrating. Be polite and considerate to other bathers and enjoy. 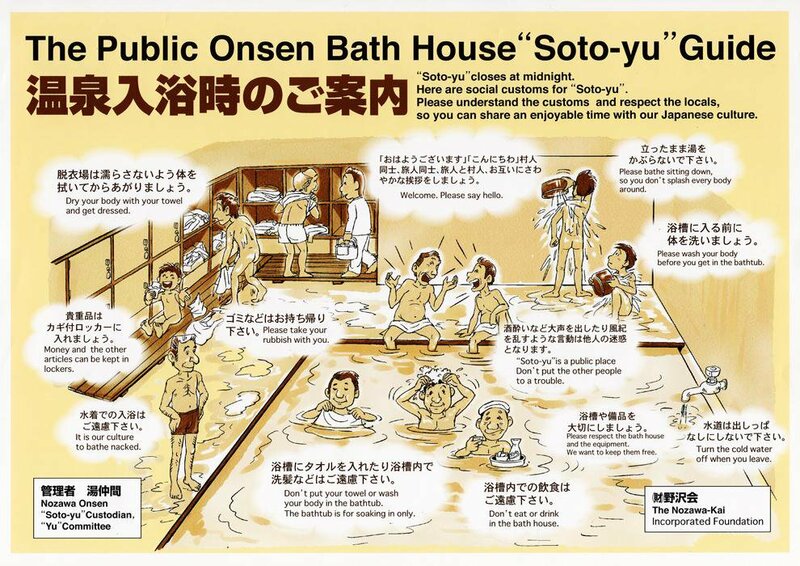 Where can you enjoy onsen? 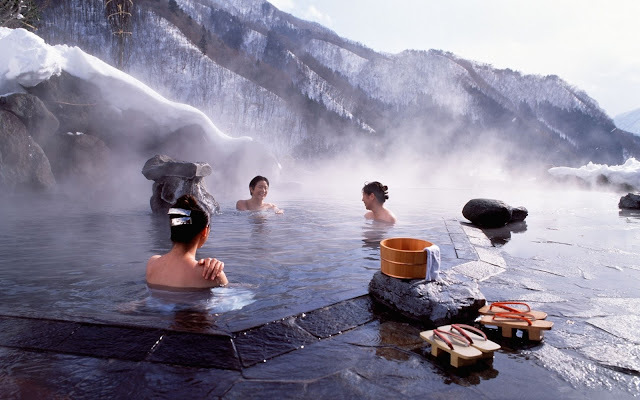 Onsen can be found all over Japan but some areas tend to specialise. For example the towns and cities all around the Kii Peninsula, especially in the historic UNESCO-listed Kumano region (Wakayama Prefecture) blend ancient Shinto spiritual sites with the relaxing and healing properties of the traditional onsen. Who can I ask about tours to Japan and the onsen regions?